Coming from the perspective that true inspiration and great image making are at the core of any high-level photographic endeavour, Achieving Your Potential as a Digital Photographer presents an organized and cohesive plan for kickstarting creativity, and then taking the resulting work into the real world. The ideas presented have been formulated by Harold Davis over many years working as a creative artist and award-wining photographer, and in the celebrated workshops he has developed and led all around the world. These concepts are presented with accompanying exercises so that readers can put them into everyday practice as well as workbook pages bound into the book for note taking and journaling. 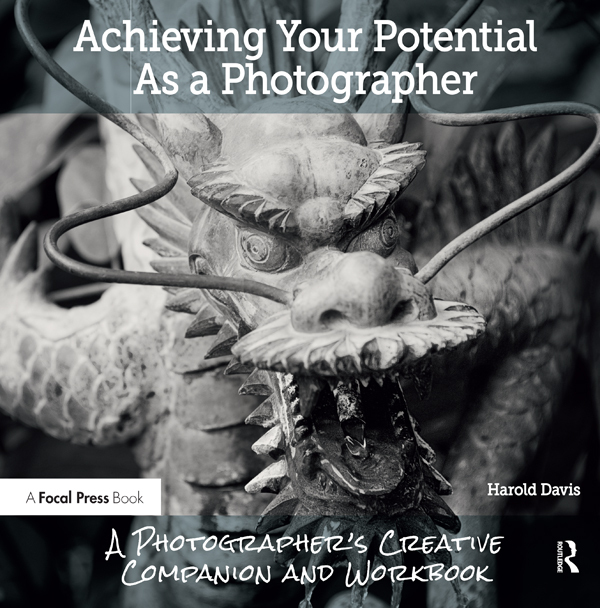 This book will enrich your photographic practice whether the goal is simply to enrich your photography or to make money from your work. Harold Davis is an internationally-known digital artist and award-winning professional photographer. He is the author of many photography books. In addition to his activity as a bestselling book author, Harold Davis is a Moab Master printmaker and a Zeiss Lens Ambassador. Watch a recording of the live webinar hosted by Harold Davis where he discusses how to achieve your potential as a digital photographer.